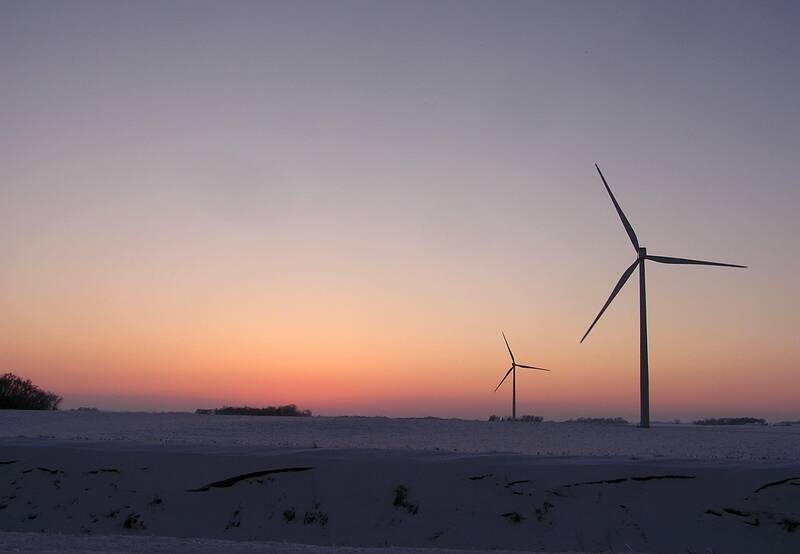 A group of utilities, state regulators and environmental groups released a report Tuesday showing it's possible — with existing technology — for electricity generation in the midcontinent to be carbon-free by 2050. Relatively speaking, the electricity sector has done better than other parts of the economy in reducing greenhouse gas emissions. Still, in 13 states looked at by the Great Plains Institute, 77 percent of the electricity comes from coal and natural gas. So, how do you get from 77 percent to zero? "Essentially that means more wind, more solar, more energy efficiency," said Franz Litz, a program consultant with the Great Plains Institute. "It also means really thinking hard about those existing nuclear plants, which don't have air emissions and could be an important part of the mix when we get out to 2050 and need to be generating our electricity without putting carbon into the air." Litz says the models the group used didn't try to guess on what types of new technology might be available by midcentury. The point was to show that decarbonizing is possible with existing technology. But the economics of transitioning away from fossil fuels for electricity generation is where it gets complicated and uncertain. For example, the report says the system will probably need to keep using natural gas — only with carbon capture technology, in which waste carbon is stored and prevented from escaping into the atmosphere. "We need that because every resource has different characteristics," Litz said. Litz says natural gas power plants can produce a lot of electricity on demand — so if the temperature spikes and everyone turns on the AC, there's enough power on the grid. In contrast, we can't exactly tell Mother Nature to just turn up the wind. But James Gignac of the Union of Concerned Scientists, one of the groups that participated in the report, says we shouldn't start building a bunch of natural gas plants. "It's really critical right now that the power companies, utilities and stakeholders take a hard look at the economics of investing in natural gas, especially compared to the cost decline in what we're seeing with renewables and storage," he said. Battery storage is becoming more and more promising, according to Gignac. The question is — will batteries become so much better and so much cheaper in the future that we no longer need to burn natural gas? The key to a full transition away from fossil fuels may depend on it.